Kevin Hillstrom: MineThatData: Dear Catalog CEOs: Do You Hear The Limb Cracking? Dear Catalog CEOs: Do You Hear The Limb Cracking? Remember when you were young? You'd climb a tree. Halfway up, you'd move out onto a limb, in order to get a good view. Then you hear this subtle, quiet cracking sound? What the heck is that? Maybe everything will be ok. Yeah, everything will be ok.
Craaaaaaack. Oh boy, that one was louder. Is that the branch I am sitting on that is cracking? Maybe I'll hold on tighter. Or maybe I'll get off this limb! Prior to 1975, cataloging was like a poplar tree. There was one direction, straight up, and if you ever bothered to step out in a different direction, the limb wouldn't hold you, you'll fall back to the ground and start all over again. Specialty catalogs, small page counts targeted monthly instead of seasonally, took us in a different direction. Now you had a choice. Turns out the customer preferred one branch over the other. Remember the "big books" from Spiegel, Sears, JCP, and others? That branch withered, weakened, cracked, and eventually broke off. Sure, B2B folks still use the big book, but ask those marketers what impact the big book has in mail/holdout tests, and you hear that the limb may be cracking there, too. 1995 was the seminal moment in direct marketing. It was the moment when the internet took off, from a direct marketing standpoint. I know, I know, many people focus on the branch that Pets.com chose to navigate. The "dot.com" branch tainted the whole enterprise ... existing companies reigned-in their online presence, integrating it with the rest of the business. This was considered a "best practice". Maybe it was, maybe it wasn't, we'll never know. All we know is that integration, cloaked under the vendor-friendly term "multi-channel", did not deliver the unfettered sales growth that the trade journals and vendor pundits promised. Multi-channel did, however, send us down a different branch. And the further down a branch you go, the harder it is to get back to the trunk and then explore different branches. We focused on one branch, the "multi-channel catalog drives your web business" branch. 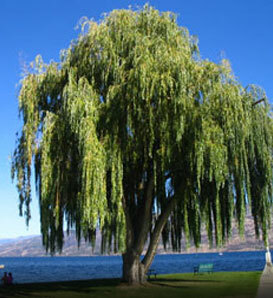 Marketing, however, evolved like a weeping willow tree, there's so many marketing choices, and the choices are highly disconnected from each other, all with reasonably small sales potential. Now there's mobile, social, gamification, email, search, affiliates, shopping comparison sites, and a million other diversions / strategies / tactics. Go too far into any one of these areas, and you immediately hear the limb cracking. Merchandise is the trunk of the tree. Notice that every single branch / marketing tactic is ultimately connected to the trunk of the tree. If you don't want to hear a limb cracking, try to focus more energy on selling merchandise than in selling the benefits of a channel.